Chris Rowlands brings music, puppets and fun to the Zoo! 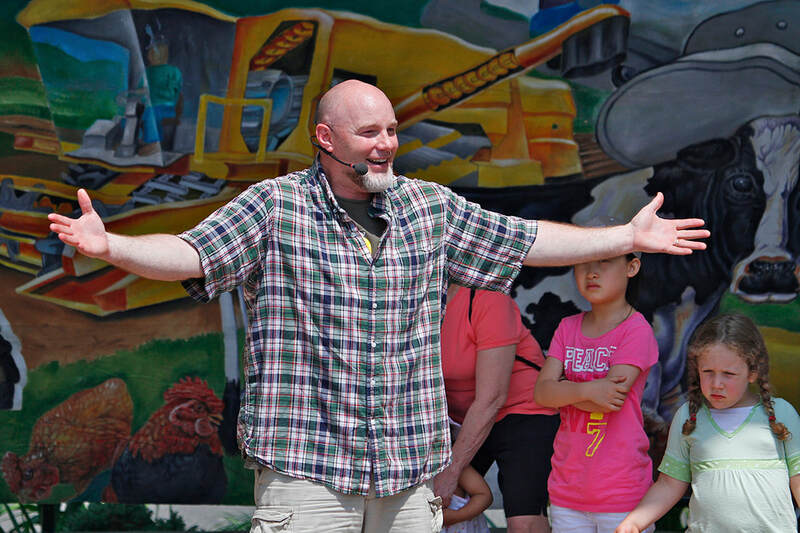 Connecticut’s Beardsley Zoo is pleased to announce the return of family favorite entertainer, Chris Rowlands. Rowlands will be the featured children’s performer at Connecticut’s only zoo for weeklong stints in June, July, and August. Famous for getting everyone involved, Rowlands brings animals to life through song, dance, puppets, and colorful props, to teach children about animals and their habitats. Children are invited to wear fun hats and sing along with Rowlands on stage as he shares his self- penned songs. All Rowlands’ performances will be free with paid admission to the Zoo. Rowlands is set to take the stage at the zoo June 23 – 30, July 26 – 31, and August 3 – 9, doing three shows a day. His interactive, kid-friendly, get-up-and-dance shows will take place at 11:00 A.M., 1:00 P.M., and 3:00 P.M. All shows will be 30-35 minutes long. Rowlands has created one of a kind music just for Connecticut’s Beardsley Zoo incorporating conservation and animal enrichment as well as introducing visitors to some of the animals that are new to the zoo this year. A native of Connecticut, Chris Rowlands creatively blends music, comedy, and education to create fast paced shows that teach and inspire young people. The Environment magazine honored Rowlands by awarding him its first “E Award” for his environmental education programs. Through public performances and in-school artistic residencies he brings his lessons about nature and conservation to more than 60,000 students, teacher, and parents each year. Also returning this summer is “Animal Bytes,” a program offering a free behind-the-scenes tour of the Zoo – without having to take a step. These personal live animal shows were specially designed based on the Zoo’s most frequently requested programs. Animal Bytes gives Zoo guests the chance to meet amazing animals up close, get answers one-on-one from expert Zoo staff, and learn how to get involved at the Zoo. There are several different mini-shows lasting approximately 15 minutes each: a five minute presentation, five minutes of an animal encounter, and five minutes for questions and answers. Visitors also will have the opportunity to take photos with the staff and featured animals.